Slightly extended review: on this record Clint is in the company of Reynold D. Philipsek (guitar), Matt Senjem (acoustic bass) and Michael Bissonnette (percussion). Philipsek is the apparent leader, but Clint gets a lot of space on this CD to show what he can do. And man, does he ever. If you didn’t know that this was the guitarist’s band, you’d think Clint was the leader. The word for his playing on this CD is “heroic.” He executes tricky chromatic harp lines that would tie most players in knots with absolute ease; I don’t think there is anything he can hear in his inner ear that he can’t play. His tone is big and bold, with plenty of expressive power. The CD contains 6 pieces with over 35 minutes of music, some of it hard driving, some beautiful enough to make me catch my breath while I was listening last night. There’s not a lot of blues, and what blues is here is presented in a very sophisticated way. Gutbucket it ain’t. Fresh it is. Clint has been showcased on a number of CDs in the past several years, including the brilliant jazz record Dream of the Serpent Dog, the good-humored old-timey Sugar Kings record Take Your Time, Mrs. Brown, the straight-up jazz of On This Day, and others. For my money, this is his best work on record to date, which is really saying something, and it firmly establishes Clint as one of the handful of the world’s most accomplished jazz harmonica players. I repeat that anyone who loves either jazz or chromatic harmonica needs a copy of this CD, right now. Go get it. You can thank me later. In a long local career, Reynold Philipsek has been both a genre chameleon and an all-pro on the guitar. He’s tackled everything from XTC-style electric rock to Django Reinhardt-descended acoustic swing, but Reynold’s only rarely indulged in his early love of hard modern jazz a la Pat Martino, Wes Montgomery and Grant Green. He veers happily in that general direction on the brand new CD East Side, though the album’s far from a simple homage or retro ‘60s session, thanks to the co-star role of jazz and blues chromatic harmonica wizard Clint Hoover, a TC treasure. With Hoover on board, it’s like having Toots Thielemans take over a Prestige or Riverside Records session, complete with detours to South America and Europe, very tasty indeed. Philipsek and his quartet celebrate East Side‘s official release with an Excelsior party, at which your admission price included a free CD, a sweet deal. Listening to another CD in the Clint Hoover collection. This one is “East Side” featuring guitarist Reynold Philipsek, bassist Matt Senjem, percussionist Michael Bissonette and of course, Clint Hoover on harmonica. This disc deﬁnitely ﬁts smack dab in the Jazz category with forays into different styles within the genre. Two songs really stand out above the rest. The ﬁrst, “Mary” could easily be a Jazz anthem and Clint plays it with his usual grace. The title track, “East Side” is one of those songs that if I was in a jazz club I would be totally Bebopping to the music. The whole CD is fun to listen to and I’m really looking forward to hearing the group’s next effort, which was released last year. East Side is the name of a group of four unique jazz musicians from Minneapolis. 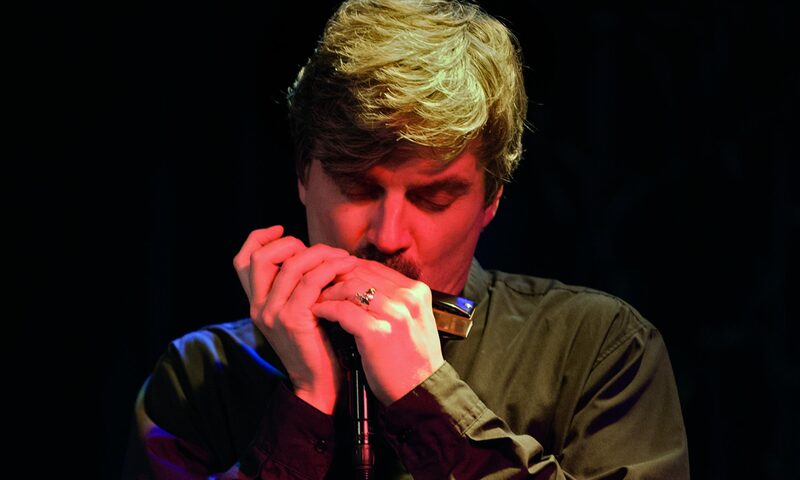 Reynold Philipsek (guitar), Clint Hoover (chromatic harmonica), Matt Senjem (acoustic bass) and Michael Bissonnette (percussion) joined forces in the fall of 2008 to forge their own brand of improvisational music. East Side is also the name of the debut CD they released in 2009, which melds the diverse influences of Piazzolla and Miles through Ravel and Jobim; where the melodic wistfulness of Europe and South America meet the pulse of truly American jazz. The CD contains six original compositions, all by Reynold and all of them written with the chromatic harmonica in mind as the lead melodic instrument. They recorded the CD live in studio, all of the musicians in one room to preserve the spontaneity, freshness and musical interplay so essential to jazz. This is a record that really captures the improvisational moment of a great session. This stellar quartet has created a CD that travels many musical roads, where tango rhythms thrive with bebop and blues. With the brilliant writing and guitar playing of Reynold Philipsek, the virtuoso chromatic harmonica of Clint Hoover, Matt Senjem’s solid, intuitive bass and the percussion expertise of Michael Bissonnette, East Side is a musical journey worth taking.